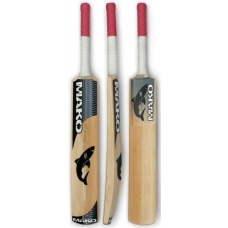 The MAKO CLUB junior sized bat, from size four to size six, top graded Kashmir willow. These bat feel almost like English willow, they are brilliant value. Can easily be used in lower club level. Great for people starting out in cricket or for the people on a tight budget. We also offer a knocking in service for 25.00 NZD which includes us putting on a fibre facing for FREE!